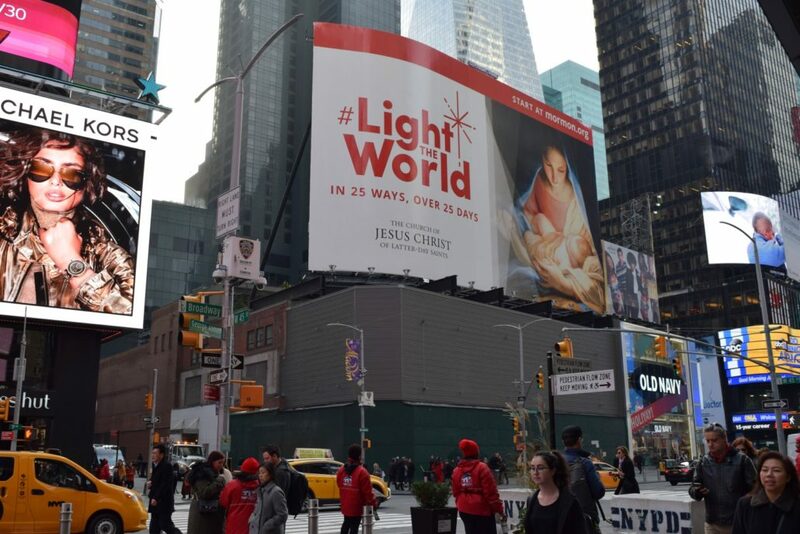 Millions of people around the world participated in the “Light the World” initiative during the Christmas season. 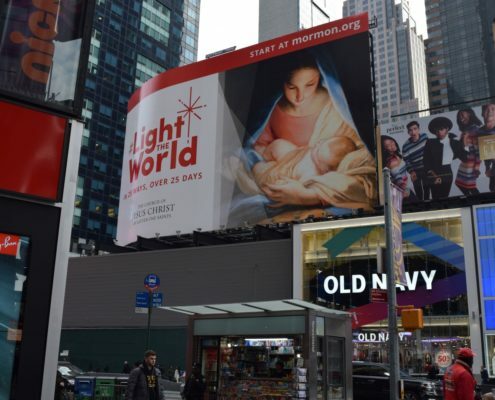 The Church of Jesus Christ of Latter-day Saints launched the online initiative November 25 on mormon.org to invite people around the world to follow Jesus Christ’s example by serving others. 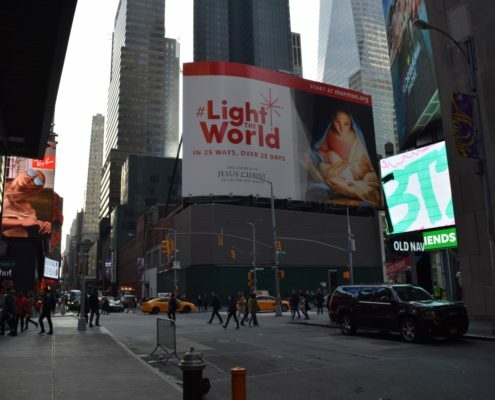 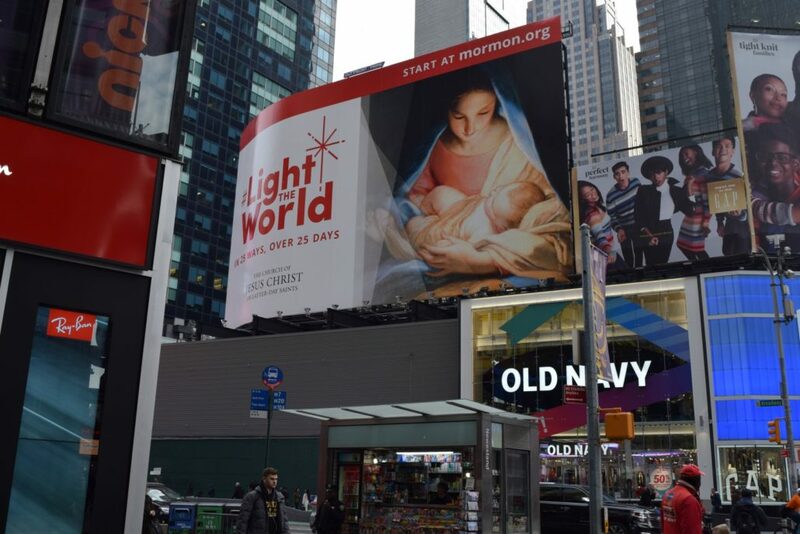 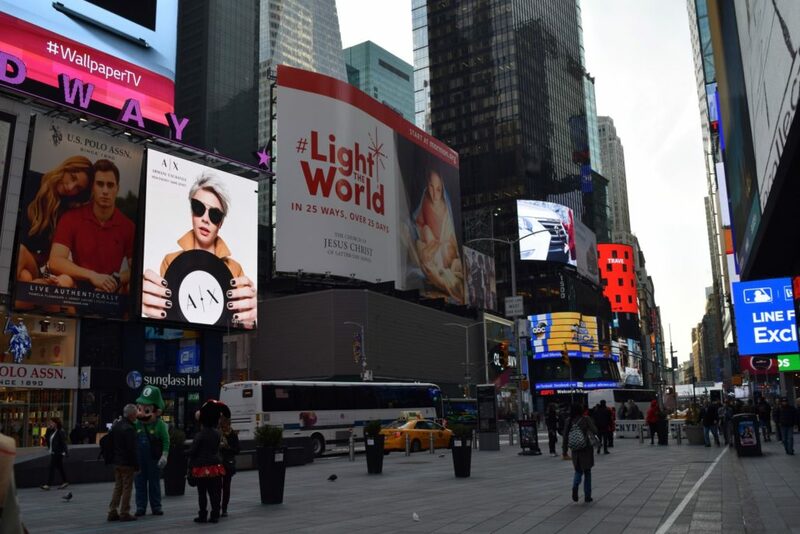 As part of its annual promotion effort, a giant billboard location in New York City’s Times Square was procured. 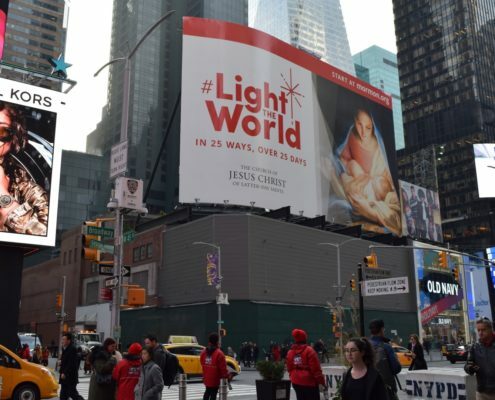 To ensure maximum eye-catching potential, the size of the board was 75 feet high and 125 feet wide, covering a total of over 9,000 square feet. 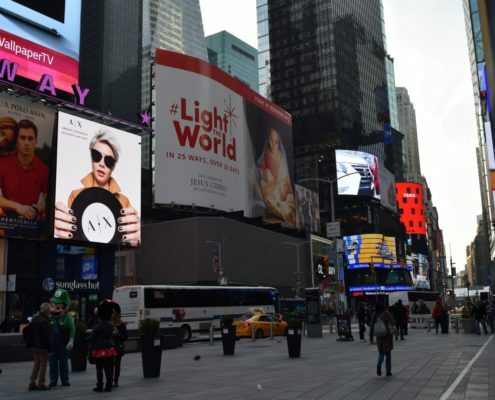 With so much surface area, it was critical to select the best material, printing and finishing techniques to ensure structural stability, endurance in the harsh winter elements and color durability. 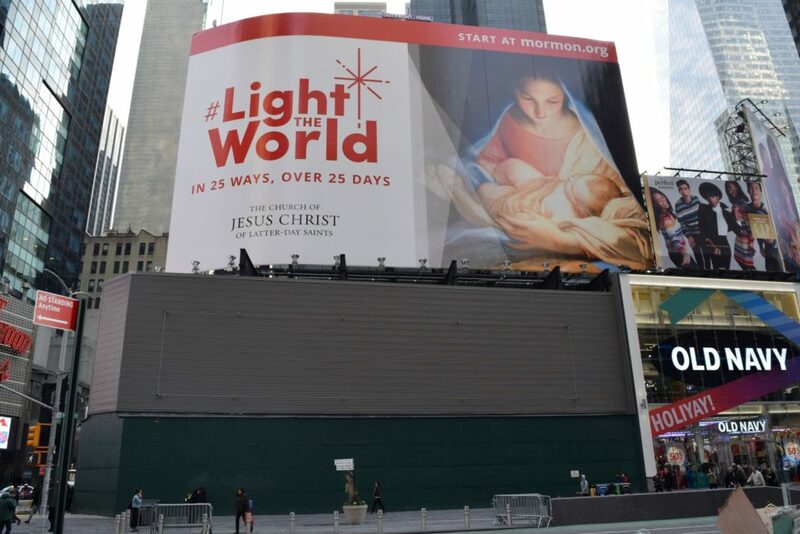 Any kind of failure of the sign would be both embarrassing to the Church and potentially unsafe to the thousands of people that pass through the area daily. 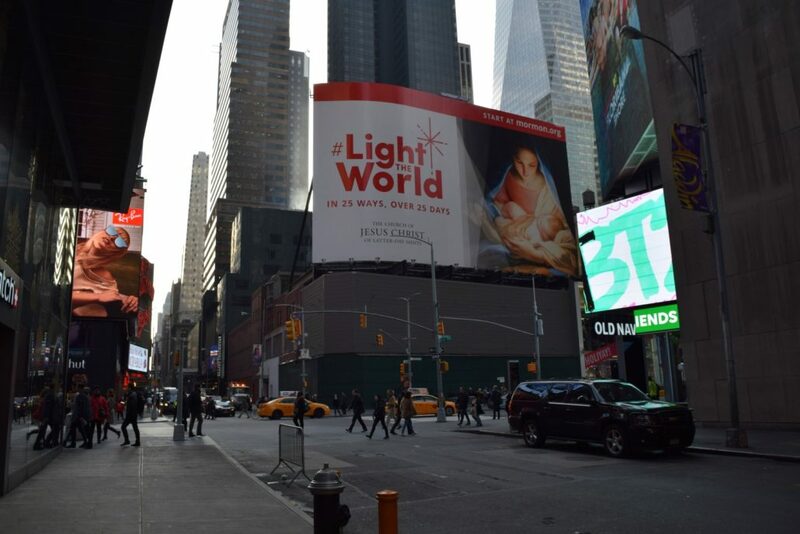 With its prominent placement in Times Square, daily direct exposure was estimated to be in the tens of thousands. 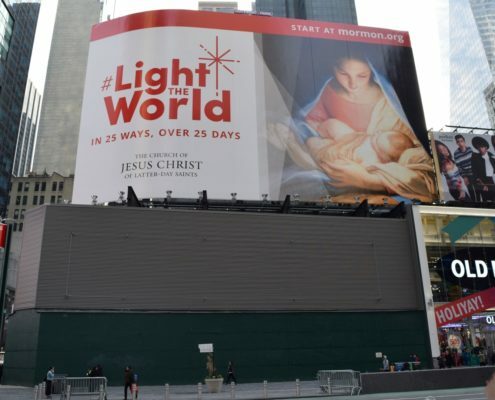 Over the campaign period, it is estimated that the sign was directly seen by more than a million people and tens of millions were exposed via social media, video and many other channels.